Kharge had asked that Verma's tenure be restored. 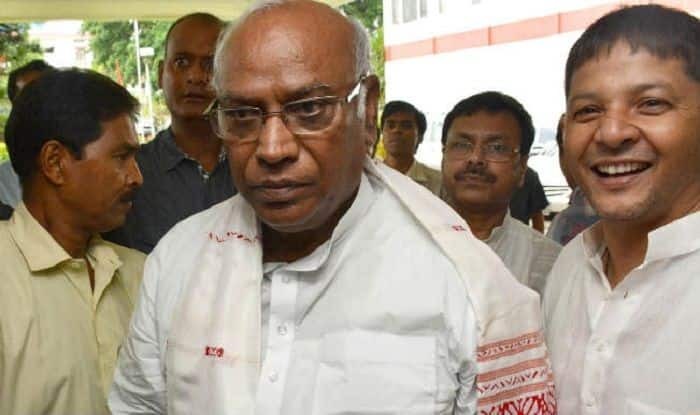 New Delhi: Leader of Opposition Mallikarjun Kharge had cited inconclusive finding of CVC report before the Supreme Court in his dissent note submitted to the High Powered Committee that decided on the ouster of CBI director of Alok Verma, said reports on Friday. Verma was transferred from CBI when the Committee voted 2:1 in favour of the same with Kharge’s vote being the sole dissenting one. The other two members of the committee are Prime Minister Narendra Modi and Justice AK Sikri. Kharge added that Verma’s remaining tenure; he retires this month itself, must be restored unto him. Enumerating each allegation against Verma, Kharge’s note went on to explain why he thought Verma should continue to function as the CBI director. As per Kharge’s note, only a few allegations against Verma were substantiated. These were: Attempts to induct tainted officers into the agency, inordinate delay in finalising investigation report in a bank fraud case against the main accused and exclusion of a suspect from being named as accused in an FIR-IRCTC scam. He said that the suggestion that the allegations against Verma were as serious as those against CBI Special Director Rakesh Asthana was incorrect. He said it would be “grossly unfair” not to restore Verma to “the full extent of the authority enjoyed by the office of the Director of CBI”. He also requested for the committee to first hear Verma. He added that an investigation against Verma could continue parallelly.